[gallery link="file" order="DESC" columns="2" orderby="ID"] A few weeks ago when i was approached by a client to plan and design a table for a seated meal for some of her close friends, I was beyond excited. This client has become a dear friend and I truly enjoy working with her. We decided on Bordeaux and black with silver accents. After narrowing down on linens, I set out to design my table top. We paired the table with black chair dressed in Bordeaux pad cover and matching napkins. 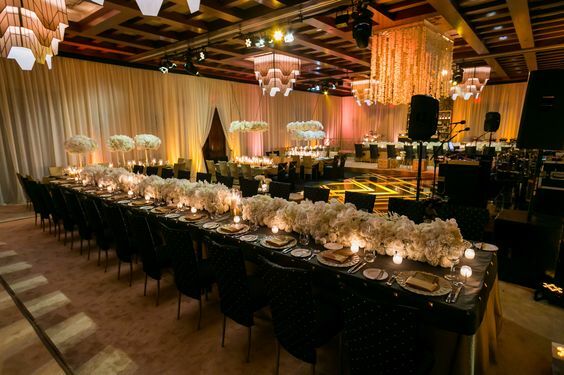 The table was flanked with black candelabras in varying sizes and tons of silver leafed candles withsilver mercury glass candle holders bearing Bordeaux candles. The table was set with silver leafed charger bearing the menu. Each place setting had a deep burgundy rose that was refllexed. Client wanted a seated meal with wine pairing and lively conversation. A few days before the event we decided to cover tha backyard with clear canopy to provide maximum comfort for the guests. In addition, a beautiful bar and lounge vignette was created for cocktails. Upon guests arrival they were greeted by valet wearing the same colors as the decor. 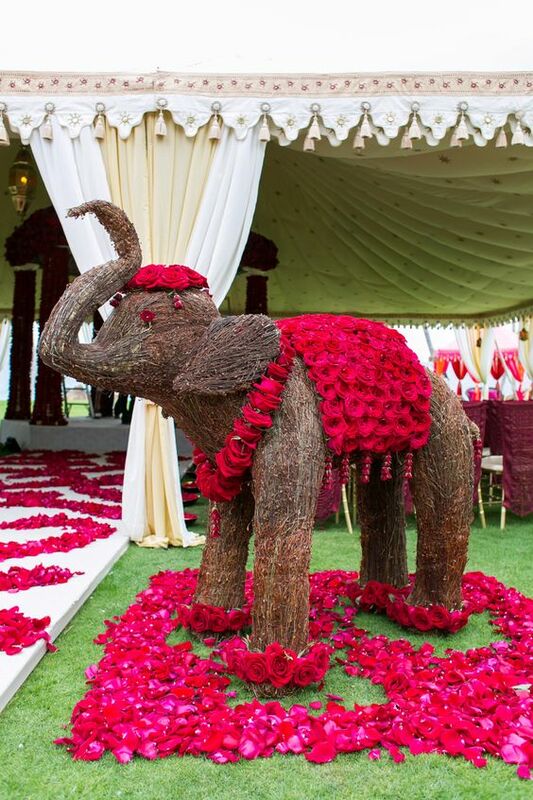 Once they entered the house, they were welcomed by waiters carrying chilled champagne flutes. Beautiful and relaxing lounge music was playing that the client had pain stamp fly organized. 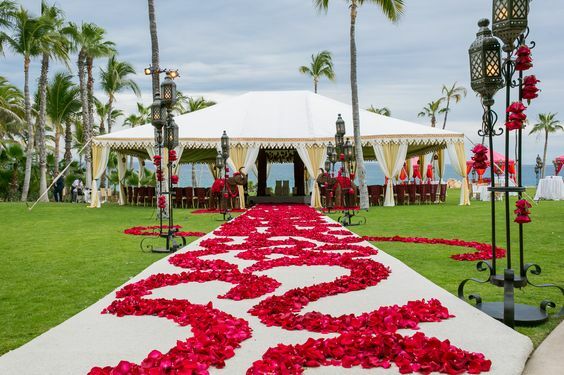 The long table with 22 seats was set to the nines and with the candles burning on top a thick runner of deep burgundy rose petals as well as clients heirloom pure silver glasses carrying black magic roses created a magical effect. 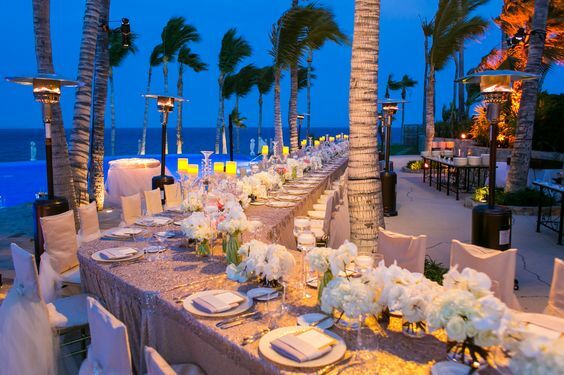 After enjoying cocktails and butler passed hors drivers, guests were escorted to the table. After the host welcomed the guests, first course was brought out. With each course, a carefully selected wine was served. Guests dined for more than three hours over a five course meal. Each course was enthusiastically received and from the joyful laughter and chit chat, they seemed to have a great time. The hosts enjoyed the company immensely and appeared to be really enjoying themselves. Hope you enjoy and excuse my unprofessional camera shots! Sabrina and Osman's ceremony took place at the gorgeous Hummingbird Nest Ranch in the Santa Susana Mountains. The architecture, views and atmosphere at Hummingbird Nest Ranch added so much to this beautiful and elegant wedding. It was a gorgeous day and Sabrina and Osman are so happy and in love! We're so excited to be featured in the most adorable magazine ever....Little Bit! Click here to check out their magazine. We are in love with the Montage in Laguna Beach! This Craftsman style hotel set on a 50-foot bluff overlooking the ocean, is beautiful and it has everything for the perfect wedding. 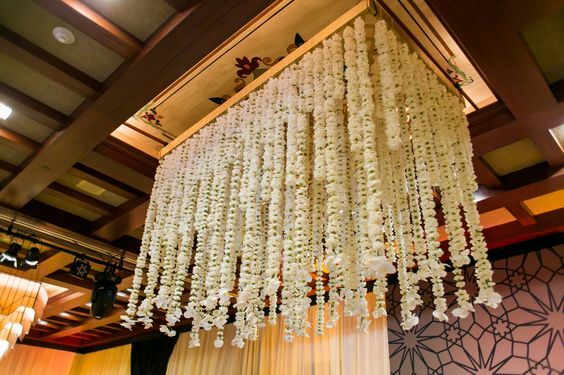 It has two grand ballrooms; one is 7,500 square feet and the other is 3,200 square feet. 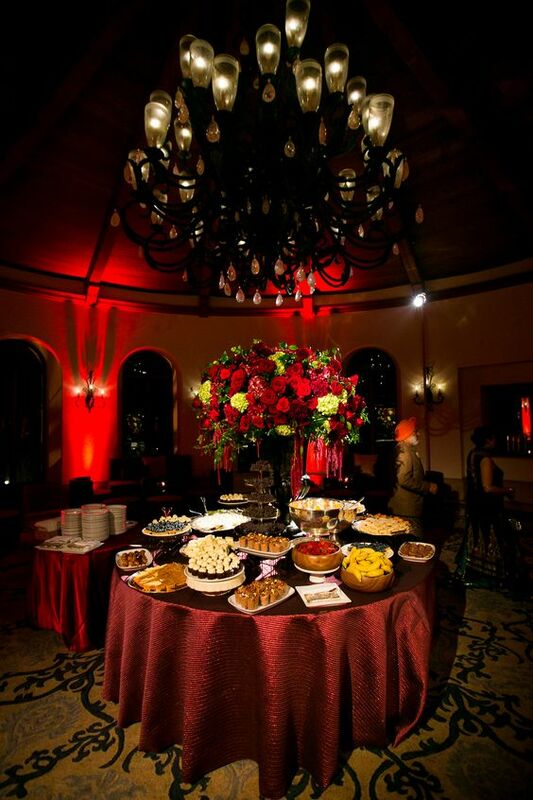 Plus, another gallery ballroom, a pre-function ballroom courtyard and THREE oceanfront event lawns! And with 250 guestrooms, including 60 suites and 37 beach-style bungalow rooms, there's plenty of room for all of your friends and family. The Montage's decor consists of Early California artwork, dark wood furnishing and a neutral color scheme. Their five-fixture marble bathrooms, feather-top beds, and fine linens will spoil you! Not to mention the mouth-watering cuisine using only fresh, seasonal ingredients and presented so beautifully! If you're into French cuisine, you have to visit the Studio restaurant. 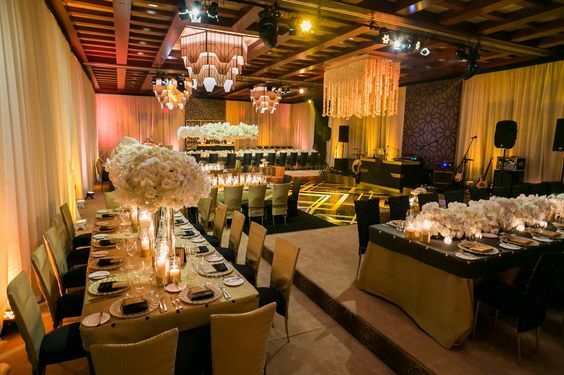 We recently designed a beautiful yellow and white wedding at the Montage and we have a few pictures to share with you! Enjoy! 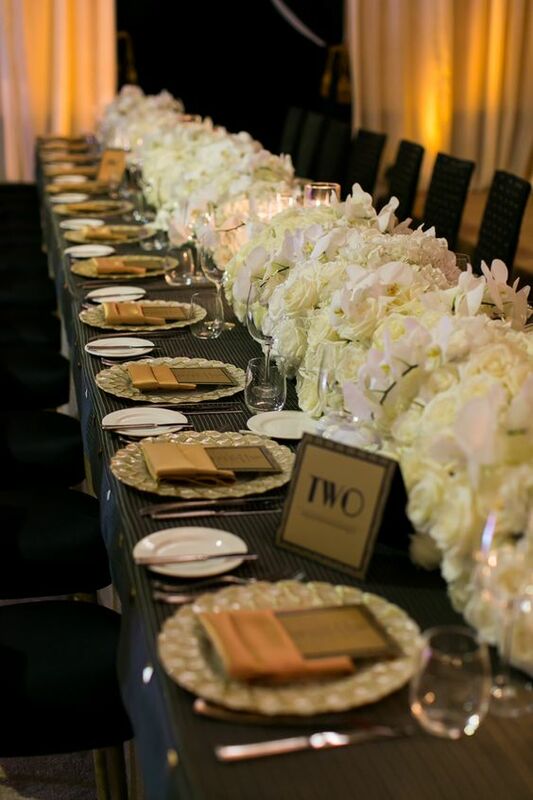 We have more photos to share of another beautiful tabletop design at Hummingbird Nest with Sunny Ravanbach, of White Lilac Inc., and Youngsong Martin of Wildflower Linen. This lovely color palette is more neutral, but still very romantic in silver and cream with light blue and black accents. 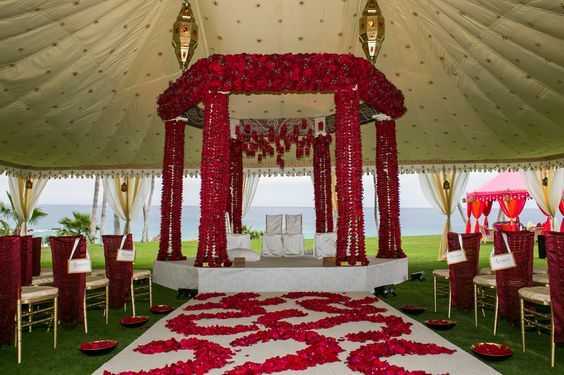 The linens and chair covers are so romantic and elegant! Thank you Classic Party Rentals for letting us use your lovely chairs.